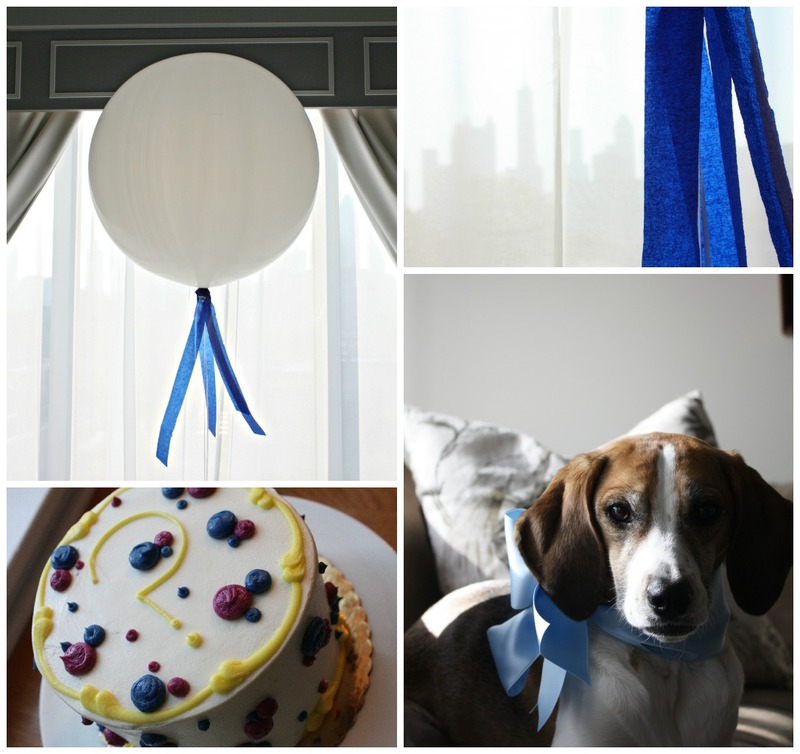 Although my sweet little prince is over eight months old, yesterday’s lovely Chicago weather reminded me of the day that Renny, Katie and Jesse hosted my baby shower last year. I have yet to post any the beautiful photos, and while I honestly can’t quite remember what life was like before Carter Jackson stole my heart, I do vividly recall just how many special and stunning details The Gang put into my special day. 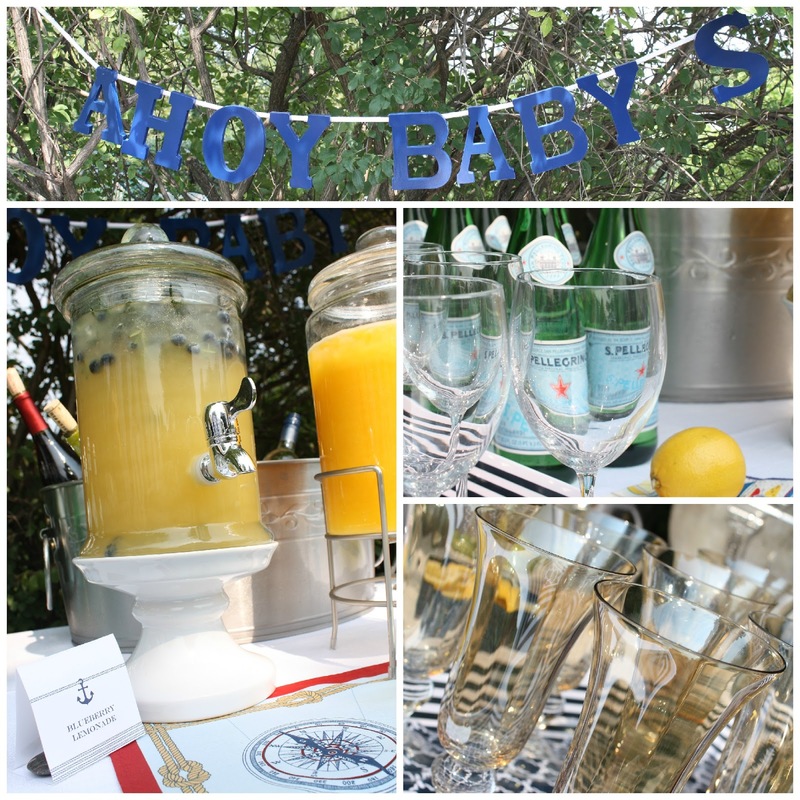 In a surprising turn of events, Renny, Katie and Jesse decided on a nautical-themed baby shower of Navy, White and Yellow for me. I honestly giggled with glee and shouted my adoration as tears of appreciation and joy trickled down my face. A custom navy and white cabana was erected on Renny’s lawn, providing a luxurious backdrop for the single, long dining table contained within. A perfect lunch was put together by Renny, Katie and the help of Nicole of longtime favorite, Blue Plate Catering. Jesse designed all of the flowers – an undulating collection of perfection in whites, yellows, navy and green. Jesse used milk glass, crystal and hammered gold for all of the pieces and knew precisely what flowers would make me nutty with love: Ranunculus, fluffy roses, hydrangea, whimsical chamomile, privet berry and velvety geranium foliage. A darling beverage station was set-up in front of the hedges and included mango mimosas, wine, blueberry lemonade and sparkling water. Even the area to collect gifts was perfectly staged! The day was nearly as special as my wedding day – knowing how Joel and I had deeply longed for a child. Renny, Katie and Jesse put on the most beautiful and spectacular shower a gal could ever dream of! SO much love and appreciation to my dear, dear friends! As a new parent, I have been overwhelmed and surprised by the generosity of family, close friends and even mere acquaintances. There has been an abundance of lovely notes and gifts galore for our Sweet Baby C – everything including personalized blankets [so perfect for snuggles], to adorable outfits [to make his mama proud], to extra large tubs of diaper cream [to ward off the inevitable tooshie rash] and everything in between. …ALL have been so appreciated and completely unnecessary. Finding time to eat properly – [something that is not take-out, that is]! Her easy and darling basket of goodies was delivered to our doorman [coordinating visits can be overwhelming with a newborn] and contained everything to help get mornings off to a smooth [ish!] start. A sweet note. Caffeinated coffee! 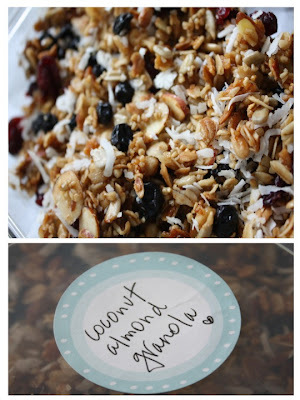 Yummy granola that was good as a quick snack, added to greek yogurt or ice cream. A chew toy for the first love of our lives and lovely teas. The basket of goodies can be tailored for your friends tastes [swap muffins for cupcakes, granola for chex-mix etc.] and is sure to be appreciated by any new mom ,or perhaps just a friend with a lot on her plate! It has honestly been so humbling to have received such support from friends and family – and I now feel like I have an endless supply of inspiration for future new mamas in need! Joel and I are expecting our first child – a little boy – later this autumn! Joel and I found out if we were having a girl or a boy earlier this week and kept the precious little secret to ourselves for a couple of days. After a seemingly endless dinner, we brought out dessert: A delicious creation from Sweet Mandy B’s. After cutting into the blue ombré layers there were cheers and tears followed by hugs and kisses. And now the fun begins…Finally at 5 months pregnant, we’re starting to really accept that this has finally happened for us. We’re letting ourselves dream and get excited. We’ve got loads to plan: Name! Nursery! Relocated Office! Ah!